The Intolerant Gourmand - 14 things you’ll only understand if you’re an allergy parent! 14 things you’ll only understand if you’re an allergy parent! In honour of Allergy Awareness Week 2018, we're sharing our top 14 things you'll only understand if you're dealing with allergies as an allergy parent! Living with allergies is far from easy, anyone who’s ensconced in the allergy world will tell you this. Ok, so the free from food arena is improving year on year for the better, which is wonderful. Indeed only last week saw the Free From Food Awards for 2018 take place, with many worthy winners. There are also many more resources available to provide much needed support. But even with all of this, there are still so many struggles and issues that many who aren’t affected by allergies are even aware of! To put it into context, Weetabix is roughly £1.50, Nutribrex is close to £4. And the same for free from bread, cakes, cereals etc. It’s more expensive as they pay to ensure their factories are safe from cross contamination and can prove it with certification and tests. But still, ouch! Without wishing to name names, we all know of the brand that not only sells significantly smaller loaves, but also is full of holes. Great that they’re attempting to cater for a much needed market, but not so great when you’re effectively trying to make a sandwich with lace! Any parent who has taken their little ones to a birthday will know the struggle of stopping your little one from eating the enticing party food and attempting to replicate the party food with safe alternatives that you bring with you. And then you have to be on constant high alert for crumbs on the floor, or sneaky fingers trying to steal food when they're too little to understand the implications! If you’re struggling to find ‘safe’ food, the last thing you need is family members rummaging around the cupboards and then ‘stealing’ safe food that’s double the price of ‘normal’ food when they can eat whatever they like! Will you be out of the house when it’s a meal time? Gone are the days when you can rock up to a restaurant and simply order food and enjoy it. Now, you have to do your research. Do they cook fresh? Can they offer safe alternatives? Do they understand about cross contamination? Can you trust them? Do you need to bring pudding, because after all, fruit is NOT a pudding! Not quite the lazy lunch out that you used to dream of! We’ve got gluten free stuff, that’ll work, right? Sure, what about dairy-free, egg-free, nut-free, are you able to cater for these allergies too? Gluten-free isn’t the ONLY allergy that people suffer with! You used to have the cutest designer handbag, but it’s now gathering dust at the bottom of the wardrobe as you now need a bag that could almost be mistaken for a mini suitcase due to its size. Inside you’ll find wipes, antibac spray, full medi kit, snacks, puds, back up lunch/dinner (just in case), toys to keep little ones occupied while you go through the list of what can and can’t be eaten, and that’s before you add your own essentials! All allergy parents will nod in agreement when you mention the stealth way you are able to hone in on reading labels, pinpointing a time in the day when barriers have been breached and allergens have slipped through. Nappies can be scanned for issues in seconds, determining whether the ‘aroma’ is teething or reaction. The same can be said for rashes! Some days, when you realise a product is safe, you’re bossing it like Beyoncé with the victory dance down the aisle. Other times, you’ll be sobbing into a tissue demanding to know why ingredients have been changed thus making a previously loved product now unsafe. There is no in between. Pure joy versus despair, no middle ground! Allergy parents are like kindred spirits. You instantly gravitate towards each other, instinctively understanding what each other is going through, and offering silent support! If you spot another allergy parent in the food aisle scanning labels, you want to let them know what’s safe, what tastes good, and what not to waste your money on! This single phrase is enough to get the steam coming out of ears! ‘A little bit of arsenic in your coffee won’t hurt then will it’………..
Ok, so this is a choice for you! If someone has allergies, then this is a life or death situation! And don’t get me started on people who claim to have an allergy when eating out, demand everything to be gluten and/or dairy free from the menu, then see the desserts come out that look amazing, and suddenly their ‘allergy’ goes out the window as they ‘have to have the tiramisu’…..
Erm, so I guess we’re ignoring the excess of sugar used to make free from food more palatable? Don’t get me wrong, it’s great there’s more choice, but it’s not always healthy! 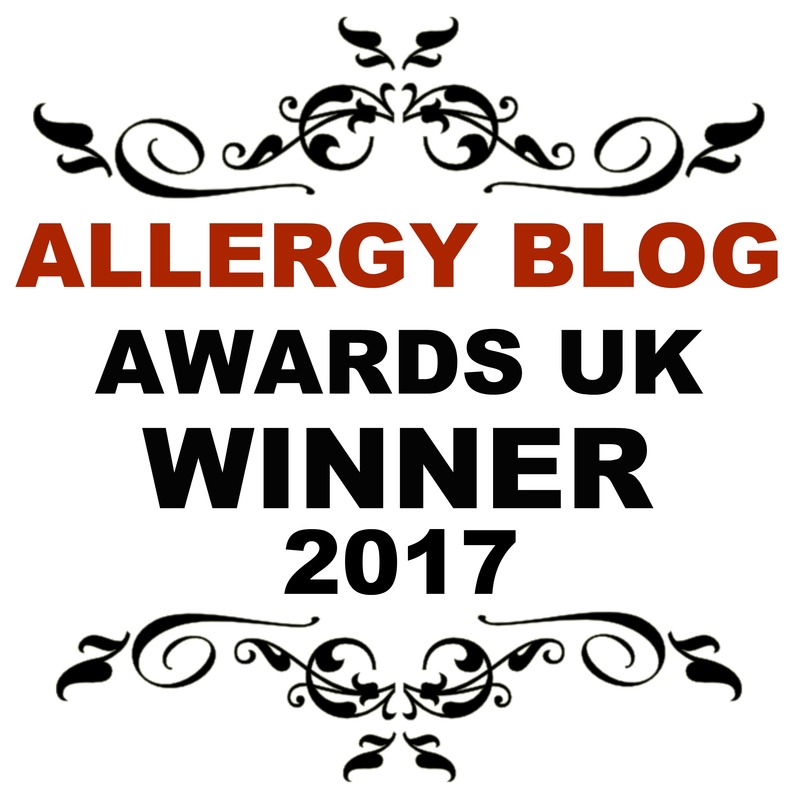 If there’s one thing I’ve learned, it’s that you’ll always find every single other allergy parent will have your back! Be it baby wipes, spare food to share, support when you need it most, a secret smile to say ‘I get it’ and just knowing someone else understands. Thank goodness for that kind of support, it’s truly invaluable! Is there anything I’ve missed? What would you like me to add? Can you relate to these? Comment below with your thoughts, I’d love to hear them! I could cry reading this, it is so true and no one understands. We went to Florida this month and tbe research I had to do and pinpoint every ER on route. I had to scan hotels, restaurants, supermarkets beforehand. It was quite the travel prep. I could just cry when supermarkets change ingredients. My son is a fussy eater as it is, let alone have his favourites swapped for other things. Love you post. So true! Yep, I can definitely relate to all these - I am always a bag lady loaded with snacks and medication! !